Dr. Heidi Horsley talks about military post traumatic stress disorder (PTSD) with Dr. Ed Tick, an expert in the field. He’s the author of “War and the Soul” as well as four other books. He’s the director of Soldier’s Heart and has worked with military members and their families for several years. There’s a difference between military PTSD and “regular” PTSD. Trauma from military PTSD is impacted by traumatic accidents, illnesses, and deaths, but also involves being an agent of death and destruction. Veterans are asking for help feeling forced to be perpetrators. Training military members means training killers, and you can easily get overwhelmed by the death imprint. You may touch more dead bodies in one year of military service than you will touch living people in your entire life. Veterans are immersed in death, cause death and destruction, and are often broken hearted. They need spiritual and community health to recover from this. Many people don’t think about everything vets are asked to do—and do—in the name of serving their country. We need to be ready to hear floods of pain and suffering according to Dr. Tick. These people are charged with protecting us, both literally and by staying silent about their experience. Overcoming the aftermath of war can take a lifetime. It also depends on the culture the warrior comes from. Serving and returning requires ritual and ceremony to mark the degree of death. The responsibility also needs to be transferred from warriors to the whole society. Holidays like Memorial Day need to become a ceremony of loss. Know that warriors who take life become responsible for the souls of those they killed. 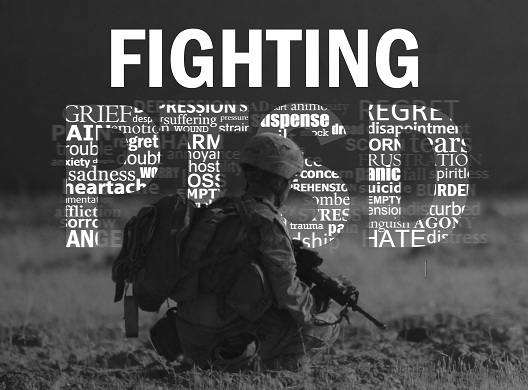 Understanding this can help warriors undertake proper grieving. My son a veteran of the 82nd in both Iraq and Afghanistan before the age of 25 is in need of help and I just don’t know what to do. He has lost at least 11 of the young guys he went to war with by their own hand. We are a military family, my husband has been in 3 wars himself and served 33 years in uniform and is still working for the military in Germany. My son is different, he is not able to move on. His first issue just showed up one day while he was in college, he has been seeing a doctor ever since that time. He was not able to find work so he has relocated 3 times. Now in what I thought would be the perfect job for him working with dogs in a training company he has fallen back again, with no feeling of wanting to do anything. How do you go from being so happy to so sad that fast? There has to be something that can be done for him, I refuse to give up until I find what he needs to move forward, he is so young! And as a veteran why in the world wasn’t he considered after 15 months for 1 deployment and a year for another at least 90% disabled? Is it better that the country he fought for gives him money to live rather then have these young guys end up lost alone and on the streets with no medical attention. What if he didn’t have a mother trying everything in the world to help him. He is by the way of damage to his body disabled not just his mind which came later and he was not ready for. He was a 4.0 student in college on his GI bill, we have to be able to help the other side. I need help!